Hello everyone, I am back home after a quick tripe to India. I brought myself cold and sore throat along. So been a little down lately. But I pushed myself back to making a card which is what I am sharing today. 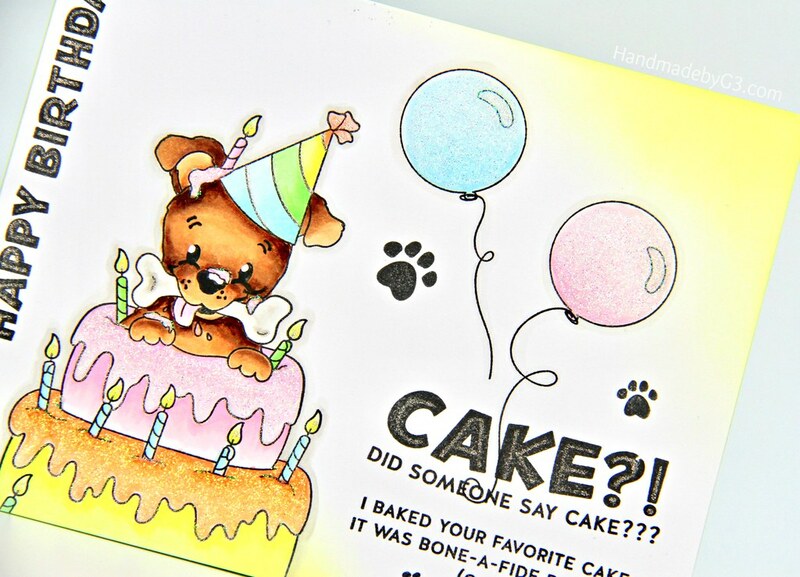 This card is made using Simon Says Stamp’s You are Loved collection Bone-A-Fide Birthday stamp set. I love this set. 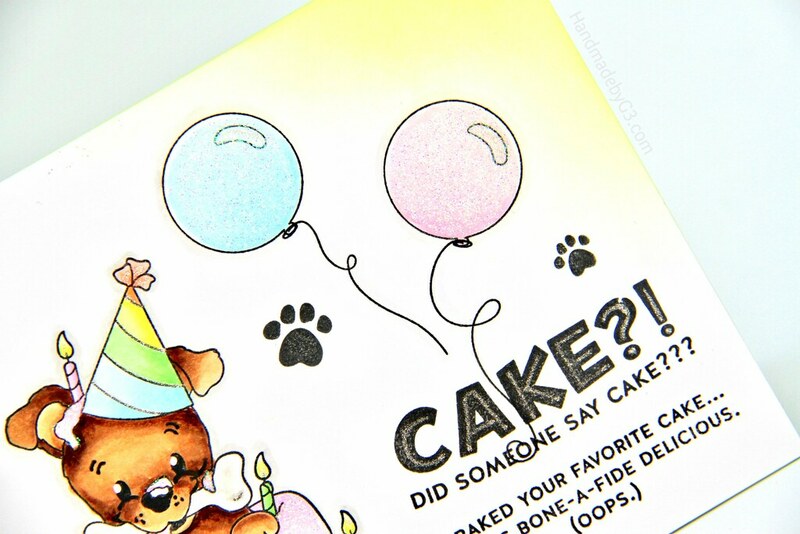 Adorable dog on the birthday card. 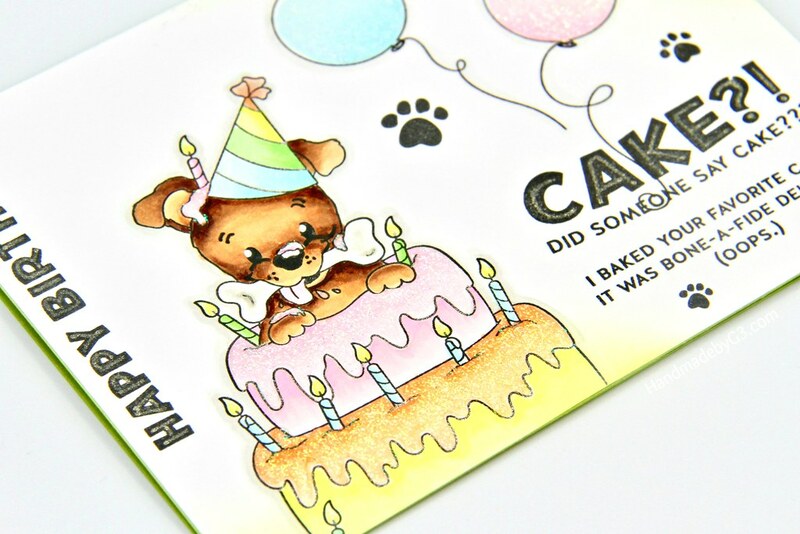 I stamped the image and coloured using copic markers to make this card. 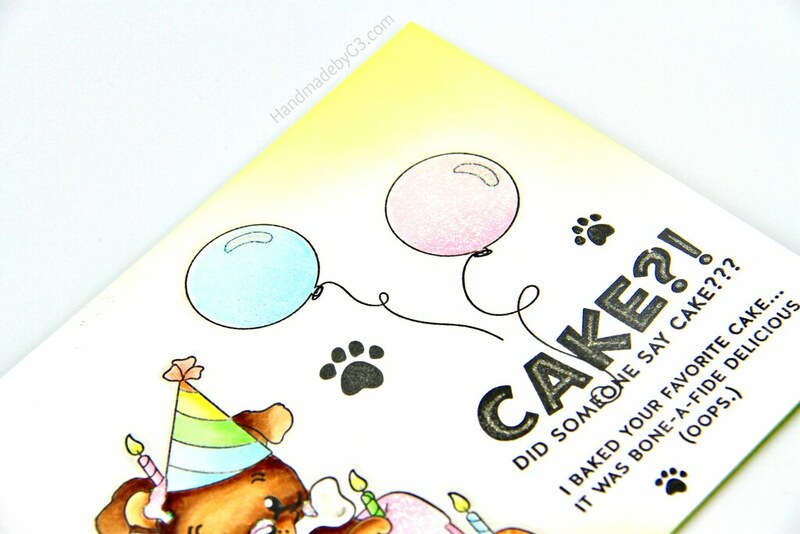 I stamped the image offset on the bottom of the panel using Simon Says Stamp Intense Black ink and coloured using copic markers in pastel rainbow colours. Similarly the balloons as well. The sentiments also from the stamp set is stamped both vertically and horizontally as shown using Simon’s intense black ink. Similarly the three paws. 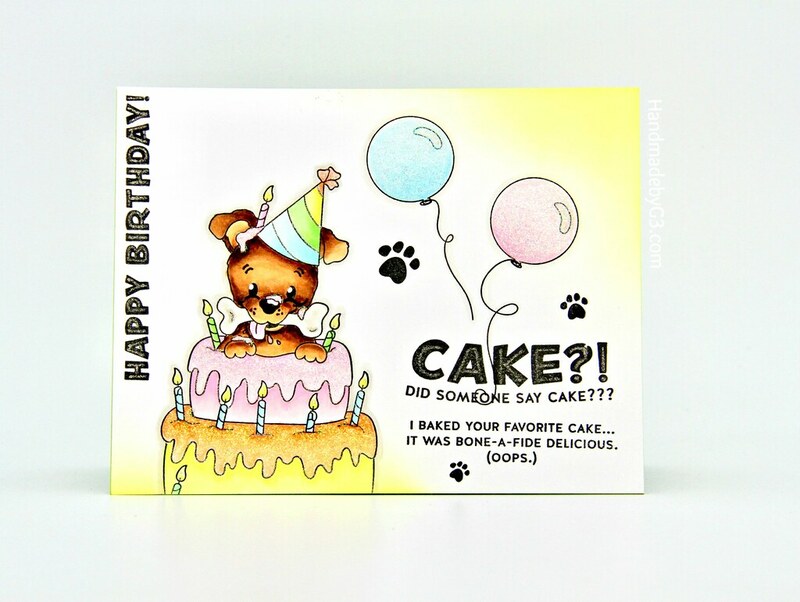 To add interest and texture to the card, I used Nuvo Snow Blizzard drops on the icing of the cake as well as the balloons. Using Sakura’s glitter pen I added glitter to the outline of the hat, candle lights and centre of the bold sentiments. When I tilt the card under the light, the glitter shines. So beautiful under the light. Here are some closeups of the card where the texture can be seen. I still felt that the card was a bit too plain. So I sponged Squeezed Lemonade distress oxide inks on the top right corner and the bottom left to balance the card. I adhered this panel to the card base and the card is finished. I have listed all the supplies I used to make this card below for you. They are affiliate links with no cost for you. Thank you very much for visiting my blog today and hope this card brings you some inspiration. Have a lovely day!